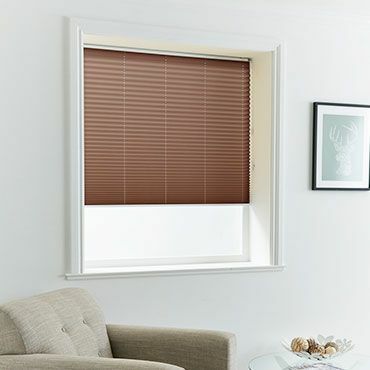 Take a look at our range online – you’ll see brown Pleated blinds in soft and strong shades, such as beige, caramel, chocolate, stone and sand. And you’ll find subtly patterned fabrics that will work with all sorts of interiors. Alongside our designs’ obvious good looks, brown Pleated blinds can be lowered to control light and privacy. Or when raised, our blinds tuck away almost completely and offer clear views through the window. 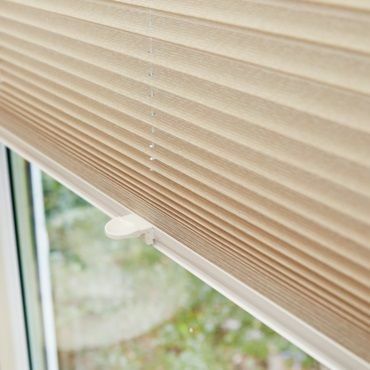 You also get to choose a cord or tab-operated system for your Brown Pleated blinds. Or you could have them fitted in PerfectFit frames. Alternatively, select an innovative TriliteTM Top-Down, Bottom-Up or TransitionTM Day and Night design. 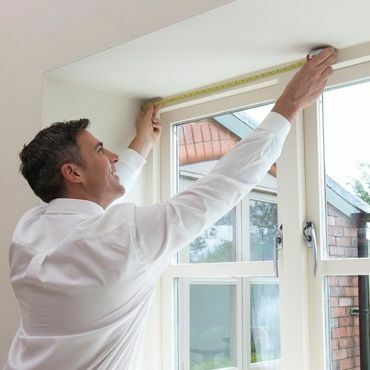 Book a free home appointment and one of our expert advisors will bring all of our Pleated blinds to you. And will give you style tips and advice as you flick through the collection, while being able to see which designs work best with your décor. Your advisor will also measure up and give you a no-obligation quote to consider.